Install or repair heating, ventilation, and central air conditioning or refrigeration systems; including oil burners, hot-air furnaces and heating stoves. Use your knowledge of green technology to ensure safe and healthy building conditions in homes, hospitals, schools and office buildings. Consumers are replacing older, less efficient systems with new green models, increasing the demand for HVACR technicians. HVAC technicians install and work on complicated climate-control systems, so they must understand the HVAC components and be able to properly assemble, disassemble, and, if needed, program them. 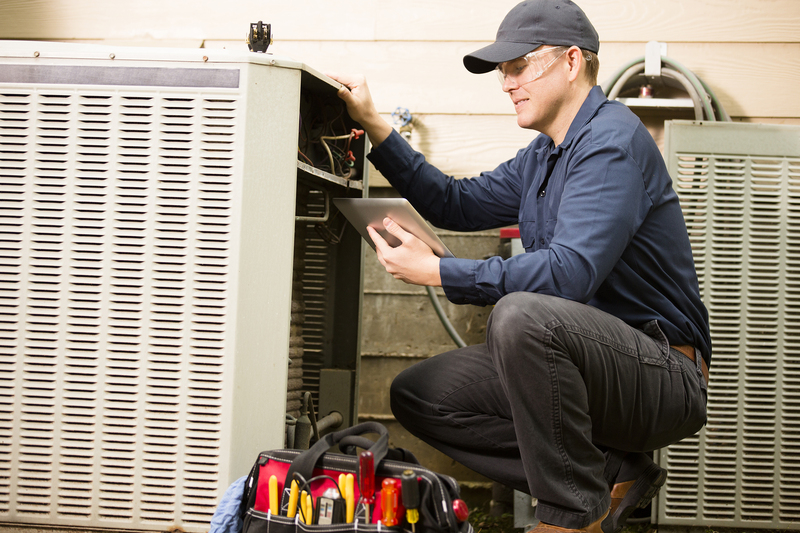 HVAC technicians must be able to identify problems on malfunctioning heating, air conditioning, and refrigeration systems and then determine the best way to repair them. HVAC technicians often work in customers’ homes or business offices, so it is important that they be friendly, polite, and punctual. Repair technicians sometimes must deal with unhappy customers whose heating or air conditioning is not working. HVAC technicians may spend many hours walking and standing. The constant physical activity can be tiring. HVAC technicians must carefully maintain records of all work performed. The records must include the nature of the work performed and the time it took, as well as list specific parts and equipment that were used. HVAC technicians may have to lift and support heavy equipment and components, often without help. HVAC technicians need to calculate the correct load requirements to ensure that the HVACR equipment properly heats or cools the space required. HVAC technicians frequently have a set number of daily maintenance calls. They should be able to keep a schedule and complete all necessary repairs or tasks.